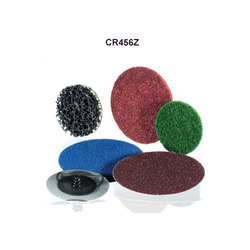 Prominent & Leading Manufacturer from Roorkee, we offer heavy duty and stiff abrasive cloth with additives. The policy made by the company makes us engaged in offering a quality assured range of Heavy Duty And Stiff Abrasive Cloth With Additives. These products are used for grinding of all metals, especially corrosion- and acid-resistant stainless steels, titanium, Ni- and Co-based alloys. Our offered products are widely appreciated by our prestigious clients for their precise design and durability. Provided products can also be availed in various sizes, designs and other related specifications. The entire range is manufactured by a team of our adept professionals utilizing quality approved raw-material and advanced technology. Highly tear-resistant and waterproof Polyester backing with low elongation provides high belt stability.